4) THE USEFUL GUIDE TO COMMUNICATIONS: A Handbook of Theory and Practice for Journalism, Advertising, and Public Relations [Hebrew] (Tel Aviv: Va’adim: 1994). 2) “Science Fiction as Futurist Prediction: Alternative Visions of Heinlein and Clarke,” The Literary Review, vol. 20, #2 (Winter 1977), pp. 133-151. 3) “The House of Rothschild: Prototype of the Transnational Organization,” Jewish Social Studies, vol. XL, #3-4 (Summer-Fall, 1978), pp. 251-270. 4) “Frankenstein Unbound: Toward a Legal Definition of Artificial Intelligence,” FUTURES: The Journal of Forecasting and Planning, vol. 13, #6 (Dec. 1981), pp. 442-457. 5) “On Public Protest and their Economic Causes” [Hebrew], The Economic Quarterly [Hebrew], #114 (Sept. 1982), pp. 275-283. Co-authored (equal credit) with Meir Unger. 6) “Public Protests Against Central and Local Government in Israel, 1950-1979,” The Jewish Journal of Sociology, vol. 24, #2 (Dec. 1982), pp. 99-115. 7) “The Israeli Protester,” The Jerusalem Quarterly, #26 (Winter 1982), pp. 127-138. 8) “Public Demonstrators and the Israeli Police: The Policy and Practice of Successful Protest Control,” Police Studies, vol. 6, #2 (Summer 1983), pp. 44-52. 9) “Religious Protest and Police Reaction in a Theo-Democracy: Israel, 1950-1979,” The Journal of Church and State, vol. 25, #3 (Autumn 1983), pp. 491-505. Co-authored with Giora Goldberg (equal credit). Reprinted (in Hebrew) in Crime and Social Deviance [Hebrew], vol. 12 (1984), pp. 23-31. 10) “The Economic and Political Determinants of Public Protest Frequency and Magnitude: The Israeli Experience,” International Review of Modern Sociology, vol. 15 (Spring 1985), pp. 63-80. Co-authored with Meir Unger. 11) “The Reactions of the Authorities to Israeli Public Protest” [Hebrew], Megamot [Trends], vol. 29, #2 (Aug. 1985), pp. 223-229. Co-authored with Giora Goldberg. 12) “Israeli Protest: Is It Successful?” [Hebrew] State, Government, and International Relations [Hebrew], Number 31 (Summer-Autumn, 1989), pp. 111-125. 13) “Protest, Television, Newspapers, and the Public: Who Influences Whom?” Political Communication and Persuasion, vol. 6, #1 (Fall 1989), pp. 21-32. Reprinted in: Herzog, H. & Ben Rafael, E. (eds.) Language and Communications in Israel (New Brunswick, London: Transaction Publishers, 2001), pp. 519-534. 14) “‘Am K’shey Oref’: Oppositionism in the Jewish Political Tradition,” JUDAISM: A Quarterly Journal, vol. 40, #1 (Winter 1991), pp. 16-38. 15) “May’avdut Le’herut: Israeli Grassroots Revolts Against the Paternalistic Socialist System,” SHOFAR: An Interdisciplinary Journal of Jewish Studies, vol. 10, #1 (Fall 1991), pp. 11-22. 16) “Loyalty, Voice, and Quasi-Exit: Israel as a Case Study of Proliferating Alternative Politics,” Comparative Politics, vol. 24, #1 (Oct. 1991), pp. 97-108. 17) “Copying the Master? Patterns of Israeli-Arab Protest, 1950-1990,” Asian & African Studies, vol. 27, (1993), pp. 129-147. 19) “The Media Campaign: The Negative Effects of Positive Campaigning, ” Israel Affairs, vol. 4, #1 (Fall 1997), pp. 167-186. 20) “The Pendulum, the Slope and the Mediacracy: Yediot Akhronot vs. Maariv – Past, Present, and Future” [Hebrew], Qesher 25 (May 1999), pp. 6-19. 21) “The Tower of Babel vs the power of babble: Future political, economic, & cultural consequences of synchronous, automated translation systems (SATS),” new media & society, vol. 2, #4 (Dec. 2000), pp. 467-494. 23) “Political Ill-Health Coverage: Professional-Ethical Questions Regarding News Reporting of Leaders’ Ailments,” Journal of Health Communication, vol. 8, #1 (January-February 2003), pp. 59-77. Reprinted in Gender and the Media: Critical Concepts in Media and Cultural Studies, ed. Kaitlynn Mendes (London: Routledge, 2016). 25) “The Natural Life Cycle of New Media Evolution: Inter-Media Struggle for Survival in the Internet Age,” new media & society (co-authored with Nava Cohen-Avigdor) (Dec. 2004, vol. 6, #6), pp.707-730. This article appeared earlier in Hebrew in PATUAKH: Journal of Politics, Communications & Society, vol. 5 (2003), pp. 64-113. 26) “Worth an Agora? 2003 E-lection Party Sites and Public Discourse,” Israel Affairs, vol. 10, #4 (Summer 2004), pp. 242-262. 30) “The Importance of Product Involvement for Predicting Advertising Effectiveness among Young People,” International Journal of Advertising, vol. 28, #2 (May 2009), pp. 203-229 (with Dr. Tali Harari-Teeni & Dr. Shlomo Lampert). 31) “Hard News, Soft News, General News: The Necessity and Utility of an Intermediate Classification,” Journalism: Theory, Practice, and Criticism, vol. 11, #1 (Jan.-Feb. 2010), pp. 37-56 (with Dr. Michal Seletzky). 32) “Factors Underlying Organizations’ Successful Press Release Publication in Newspapers: Additional PR Elements for the Evolving ‘Press Agentry’ and ‘Public Information Models’,” International Journal of Strategic Communication, vol. 4, #4 (October 2010), pp. 244-266 (with Dr. Michal Seletzky). 33) “Elite and Popular Newspaper Publication of Press Releases: Differential Success Factors?” Public Relations Journal, vol. 6, #1 (January 2012), pp. 1-25 (with Dr. Michal Seletzky): http://www.prsa.org/Intelligence/PRJournal/Documents/2012LehmanWilzigSeletzky.pdf. 34) “‘He Will Take Care of our Security Better than Her’: Examining Socio-Cultural Conceptions of Gender in Press Coverage of Tzipi Livni’s and Hillary Clinton’s 2008-09 Election Campaigns,” Journal of Intercultural Communication, Issue 45 (forthcoming Nov. 2017) (with Gilad Greenwald). 1) “Public Protest and Systemic Stability in Israel: 1960-1979,” in Comparative Jewish Politics…, op. cit., pp. 171-210. 2) “Thunder Before the Storm: Pre-Election Agitation and Post-Election Turmoil,” in The Elections in Israel – 1981, ed. Asher Arian (Tel Aviv: Ramot Press, 1983), pp. 191-211. 3) “‘Demoskraty’ in the Mega-Polis: Hyper-Participation in the Post-Industrial Age,” in The Future of Politics, ed. William Page (London: Frances Pinter, 1983), pp. 221-229. Reprinted in World Future Society Bulletin (Summer 1983). 4) “Conflict as Communication: Public Protest in Israel, 1950-1982,” in Conflict and Consensus in Jewish Politics, eds. Stuart Cohen & Eliezer Don-Yehiya (Ramat Gan: Bar-Ilan University Press, 1986), pp. 128-145. 5) “Political Reform in Israel: Lessons from the American Experience” [Hebrew], in The Israeli Political System: Recommendations for Change [Hebrew], ed. Baruch Susser (Tel Aviv: 1987), pp. 62-79. 7) “Israel’s 1992 Media Campaign: Towards the Americanization of Israeli Elections?” in Israel at the Polls, 1992, D.J. Elazar & S. Sandler, eds. (Lanham MD: Rowman Littlefield, 1995), pp. 251-280. 8) “Social Cleavages in Israeli Society in the Twenty-First Century and their Effects on Police Work” [Hebrew], Policing Israel in the Twenty-First Century, vol. 1 (Jerusalem: Jerusalem Center for Israeli Affairs, 1997), pp. 89-113. 9) “Israeli Democracy: How Democratic? How Liberal?” in Fundamental Issues of Israeli Democracy [Hebrew], R. Cohen-Almagor, ed. (Tel Aviv: Sifriat Hapoalim, 1999), pp. 265-284. 10) “The Paradox of Israeli Civil Disobedience and Political Revolt in Light of the Jewish Tradition,” Liberal Democracy and the Limits of Tolerance, R. Cohen-Almagor, ed. (Ann Arbor: University of Michigan Press, 2000), pp. 114-132. 12) “An Exploratory Model of Media-Government Relations in International Crises: U.S. Involvement in Bosnia, 1992-1995,” in Media and Conflict: Framing Issues, Policy Making, Shaping Opinions, E. Gilboa, ed. (Ardsley, NY: Transnational, 2002), pp. 153-173. (Co-authored with Yaeli Bloch. 13) “The Editorial Gap Between Ideal and Real: Do Television News Editors/Journalists Broadcast What They Believe Their Audience Wants?”, in Changing Media Markets in Europe and Abroad: New Ways of Handling Information and Entertainment Content, Angela Schorr and Stefan Seltmann, eds. (Lengerich/Berlin, Germany: Pabst Science Publishers, 2006), pp.127-147 (co-authored with Tiki Balas). 15) “Media Functioning during a Violent International Crisis: Differences between Elite and Popular Press Coverage of American Policy in Bosnia (1992-1995),” in Media and Political Violence, H. Nossek, A. Sreberny, P. Sonwalker, eds. (NJ: Hampton Press, 2007), pp. 119-142. (co-authored with Yaeli Bloch-Elkon). 16) “The End of the Traditional Printed Newspaper: Factors of On-Line Journalism that Threaten Traditional, Printed Journalism” [Hebrew] in T. Schwartz-Altschuller, ed., dot.com Journalism: Internet Newspapers in Israel (Jerusalem and Beersheva: Israel Democracy Institute and Burda Center, Ben-Gurion University, 2007), pp. 199-242. 1) Gideon Aran, Eretz Yisrael: Bein Dat Upolitikah (The Land of Israel: Between Politics and Religion), reviewed in ISRAEL: State and Society, 1948-1988 – Studies in Contemporary Jewry, vol. 5, ed. Peter Medding (Jerusalem: Jerusalem Institute for Israel Studies, 1989), pp. 325-328. 2) Gadi Wolfsfeld, The Politics of Provocation: Participation and Protest in Israel (Albany, NY: SUNY Press, 1989), reviewed in Studies in Contemporary Jewry, vol. 8, eds. J. Frankel, P. Medding, & E. Mendelsohn (Jerusalem: Jerusalem Institute for Contemporary Studies, 1992). Shlomo Avineri, Arlosoroff (New York: Grove Press, 1991), reviewed in Israel Studies Bulletin, vol. 7, no. 2, Spring 1992, pp. 18. 3) Ehud Sprinzak, The Ascendance of Israel’s Radical Right (NY: Oxford University Press, 1991), reviewed in Studies in Contemporary Jewry, vol. 10 (Oxford: Oxford U Press, 1994), pp. 428-430. 4) Rafi Cohen-Almagor, The Boundaries of Liberty and Tolerance: The Struggle Against Kahanism in Israel (Gainesville, FL: Univ. Of Florida Press, 1994), reviewed in Studies in Contemporary Jewry, vol. 11, ibid. (1995), pp. 340-343. 5) Reuven Kaminer, The Politics of Protest: The Israeli Peace Movement and the Palestinian Intifada (Brighton, UK: Sussex Academic Press, 1996), reviewed in Studies in Contemporary Jewry, vol. 16, ibid. (2001), pp. 381-383. 7) Israel Communication Association: 2003 conference – refereed 2 papers; 2004 conference – refereed 2 papers; since then I referee about 2 papers each conference. 8) International Communication Association (mostly in Communication & Technology Division, as well as Political Communication Division: 2004 conference – refereed 4 papers; 2005 conference – refereed 2 papers; 2006 conference – refereed 10 papers. Since then I average about 6-8 papers refereed per annual conference (in both divisions). 9) Association for Education in Journalism (Mass Communication (AEJMC): since 2004 I have been refereeing about 3-4 papers for each annual conference. 10) Yoram Peri, Telepopulism: Media and Politics in Israel (Stanford: Stanford U Press, 2004), reviewed in Middle East Journal, vol. 58, #4 (Autumn 2004), pp. 691-692. 11) Yael Yishai, Civil Society in Israel (Jerusalem: Carmel Publications, 2003), reviewed in Megamot, vol. 44, #2 [Hebrew] (2006), pp. 385-387. 12) Gabriel Weimann, Terror on the Internet: The New Arena, The New Challenges (Washington, DC: The Washington Institute of Peace Press, 2006), reviewed in Misgarot Media, vol. 1, #1 [Hebrew] (Fall 2007), pp. 199-203. 13) Tal Samuel-Azran & Dan Caspi (eds. 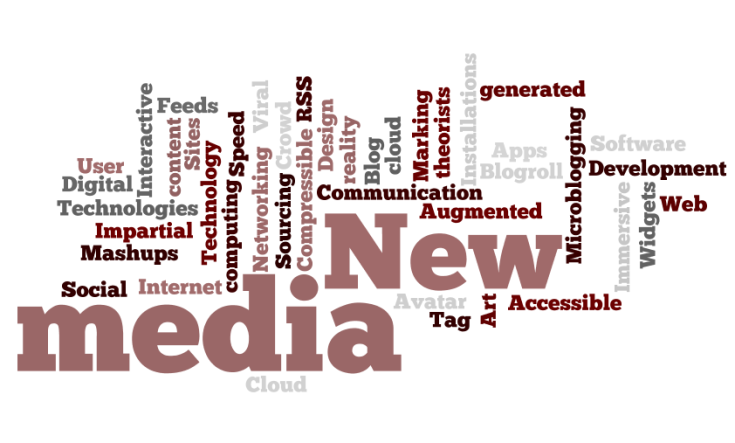 ), New Media and Innovative Technologies (Beersheva and Mevasseret Tzion: Burda Center for Innovative Communications – Ben-Gurion University; Tzivonim Publishing, 2008), reviewed in Megamot, vol. 46, #1-2 [Hebrew] (2009), pp. 292-295. 14) Margalit Toledano & David McKie, Public Relations and Nation Building: Influencing Israel (London & NY: Routledge, 2013), reviewed in Qesher [Hebrew]. 2) “Jihad in the Holy Land: The 1981 Elections to the Tenth Knesset,” Forum (Fall/Winter 1982), pp. 187-200. 3) “Teledemocracy from the Top,” Telecommunications Policy, vol. 7, #1 (March 1983), pp. 5-8. 4) “Dizengoff Democracy,” Midstream, vol. 30, #8 (Oct. 1984), pp. 16-20. 5) “Israel: The End of Ideology?” Midstream, vol. 31, #2 (Feb. 1985), pp. 29-33. 7) “Turning Point,” Present Tense (March/April 1988), pp. 15-19. 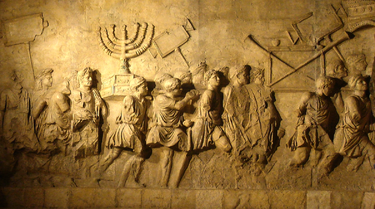 8) “Israel: Between the Book and the Sword,” Midstream, vol. 35, #1 (Jan. 1989), pp. 15-19. 9) “What is Jewish Heroism?” Midstream, vol. 35, #6 (June/ July, 1989), pp. 21-25. 10) “Israel: Red is Dead,” Midstream, vol. 35, #9 (Nov. 1989), pp. 9-12. 11) “Dawks and Hoves: The Ornithology of Israeli Politics,” Midstream, vol. 36, #1 (Jan. 1990), pp. 10-13. 12) “The Jewish Political Tradition,” Midstream, vol. 36, #2 (Feb.-March 1990), pp. 31-33. 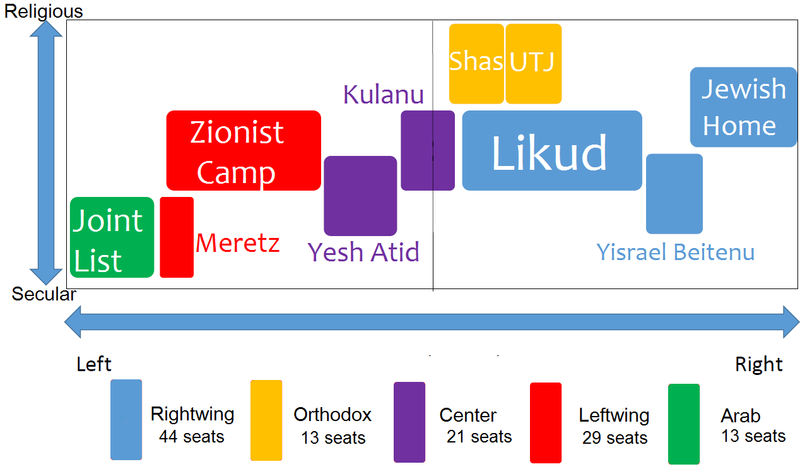 13) “Israel’s Grassroots Libertarian Revolution,” The Freeman, vol. 40, #4 (April 1990), pp. 144-148. 14) “Israel: Vision, Division, Revision,” Midstream, vol. 36, #5 (June-July 1990), pp. 25-28. 15) “For the sin of ultra-orthodox bashing,” SH’MA, 20/396 (Sept. 7, 1990), pp. 119-121. Reprinted in Hebrew in the Bulletin of Bnei Akiva Graduates from Central Europe (Dec. 1990). 16) “A Thorn of Crowns: Temple and Priesthood Restored,” Midstream, vol. 37, #4 (May 1991), pp. 36-38. 17) “Multimedia in Education: Benefits and Challenges” [Hebrew], in Education and the Challenge of Time, Eitan Paldi, ed. (Tel Aviv: Ramot Publishing, 1997), pp. 320-327. 18) “Public Relations in the Future,” Dibur Eem Ha’tzibur [Talking to the Public] [Hebrew], ed. Aviva Rosen (Tel Aviv, Pecker Publishing, 2000), pp. 196-216. 19) “The Future of Translation,” The Futurist, vol. 35, #3 (May-June 2001), pp. 16-23. 21) “Back to the Future: Jewish education in the Compunications Age,” Jewish Educational Leadership, vol. 9, #1 (Fall, 2010), p. 64.